The class-action lawsuit, filed in Chicago, is seeking damages after the March 10 crash of Ethiopian Airlines flight ET302 wiped $34 billion off Boeing's market cap within two weeks. 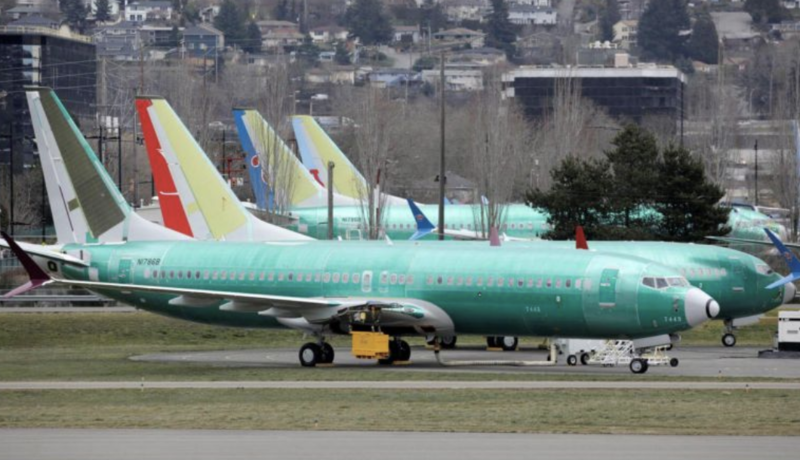 But if true, the crux of the lawsuit might have broader repercussions for the company as it tries to convince regulators to lift a grounding order that has kept the Boeing 737 MAX 8 grounded since mid-March. Boeing "effectively put profitability and growth ahead of airplane safety and honesty" by rushing the 737 MAX to market without "extra" or “optional” safety features - a practice that has outraged the company's critics - as it feared ceding market share to Airbus SE. Moreover, Boeing failed to disclose a conflict of interest surrounding its 'regulatory capture' of the FAA, which was revealed to have outsourced much of the approval process for the 737 MAX to Boeing itself. Lead plaintiff Richard Seeks bought 300 Boeing shares in early March and sold them at a loss after the shares dumped more than 12% in the weeks after the second crash, which would have left him with a loss between $15,000 and $20,000. The lawsuit seeks damages for Boeing investors who bought the company's shares from Jan. 8 to March 21. Boeing CEO Dennis Muilenburg and CFO Gregory Smith have also been named as defendants.